With the holiday season just around the corner, you start racking your brains to think of the right gifts to buy for your family and friends. 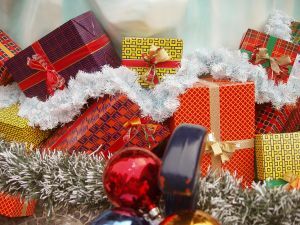 You want people to appreciate the thought that goes into choosing the gift? Try custom holiday gifts. You know your dad loves books and you can never go wrong if you choose the topper on the New York Times bestseller list. The Amazon Kindle may be good choice of custom holiday gift for him this year. The Kindle is an electronic handheld reading device that you use to read a book and store books like a library for future reading. How about buying an Amazon Kindle for your dad this year and ordering his must-read book through Kindle? Perfumes, bath and spa products, gift baskets with gourmet food and chocolates, you have given them all to your spouse or your mom and now you are looking for something different. Why not make a custom gift basket of your own? Collect her favorite scented bubble bath and perfume, add a bottle of wine and lovely candles, an iPod loaded with her favorite music or the latest book by a favorite author and a gift voucher at a spa to pamper herself. Looking for a gift for a child who is too young to take care of pets or has a parent with an allergy? Stuffed toys don’t excite you? How about an Alive pet from the Discovery store? It responds to touch and falls into sleep if left alone for five minutes. Customize the gift by adding a monogrammed toy bag adding the child’s favorite fruit and cookies to the basket. Creative craft supplies and building blocks, music CDs and DVDs of favorite films are easy to customize holiday gifts for children, based on their individual talents, tastes and preferences. Custom holiday gifts make a lasting impact at Christmas because the receiver understands and appreciates the thought, the time and the effort that you have invested to ensure that your recipient is pleased with the gift.